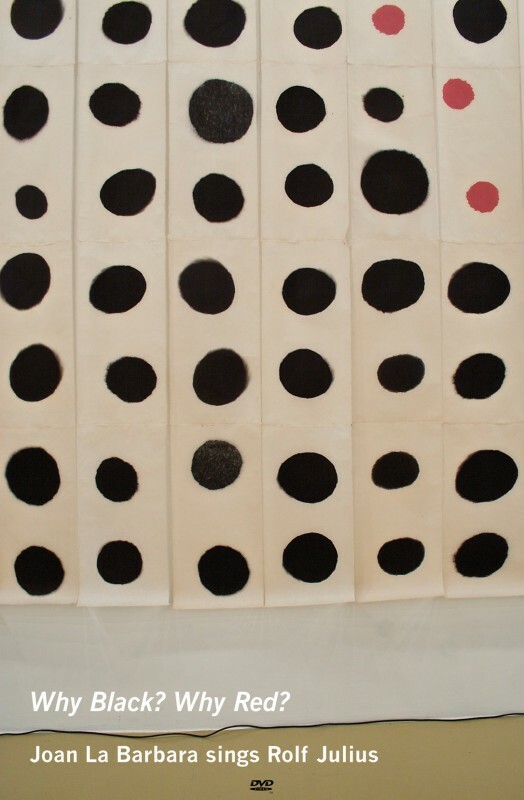 Joan La Barbara: "Why Black? Why Red? Joan La Barbara sings Rolf Julius"
“Why Black? Why Red? 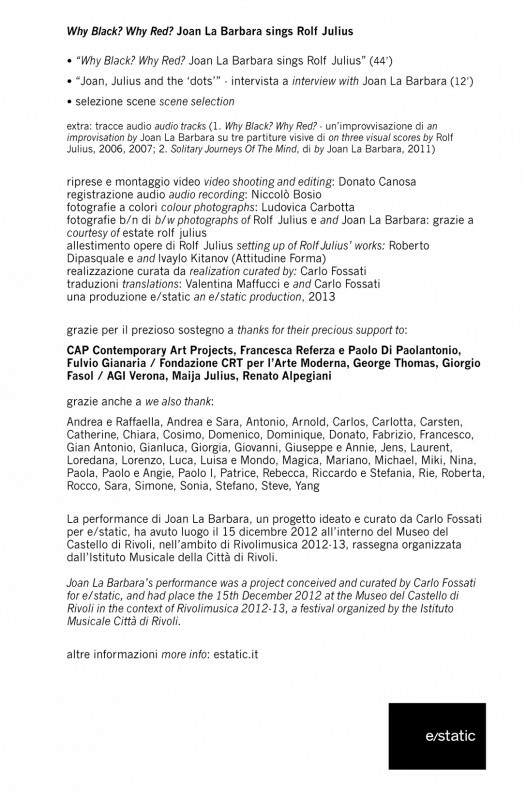 Joan La Barbara sings Rolf Julius” contains the complete video documentation of the performance of the same name, which took place on December 15th, 2012, at the Museo del Castello di Rivoli, during Rivolimusica 2012-13. 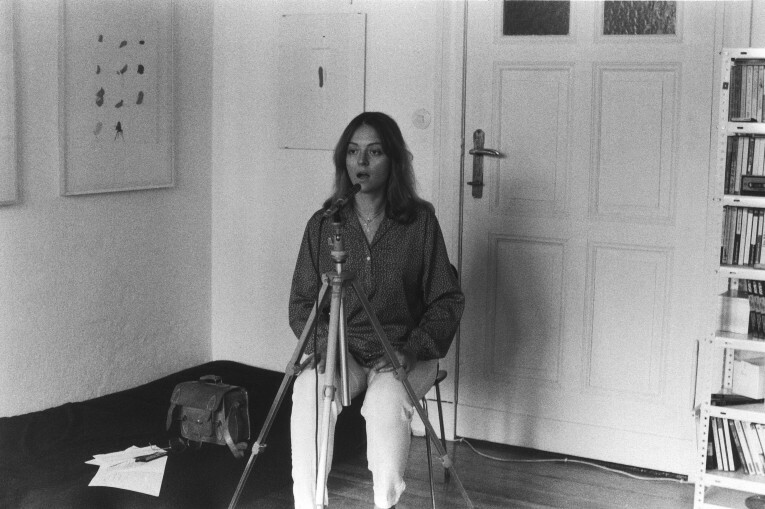 The dvd was published last April 28th in 500 copies, 50 of which numbered and signed by Joan La Barbara herself, and it also features an important interview of the great American vocalist, by Carlo Fossati and Maija Julius, who asked her a few questions concerning her long artistic relationship with Rolf Julius and the genesis of this project by the late German artist. 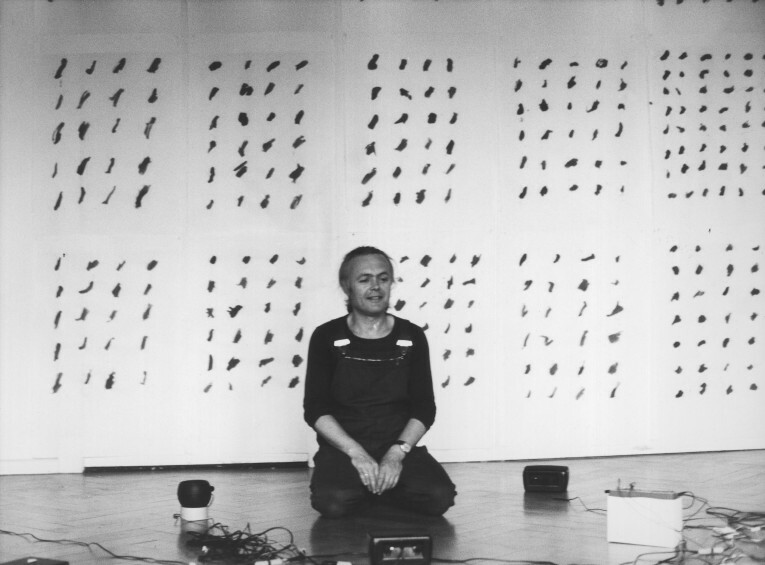 A story that dates back 30 years, starting from the early '80s, when Julius for the very first time asked La Barbara to improvise on his own graphic scores, on the occasion of a visit of hers to his Berlin atelier. An event which we managed to bring about only last year, with a public performance by the American singer on several of his largest scores. 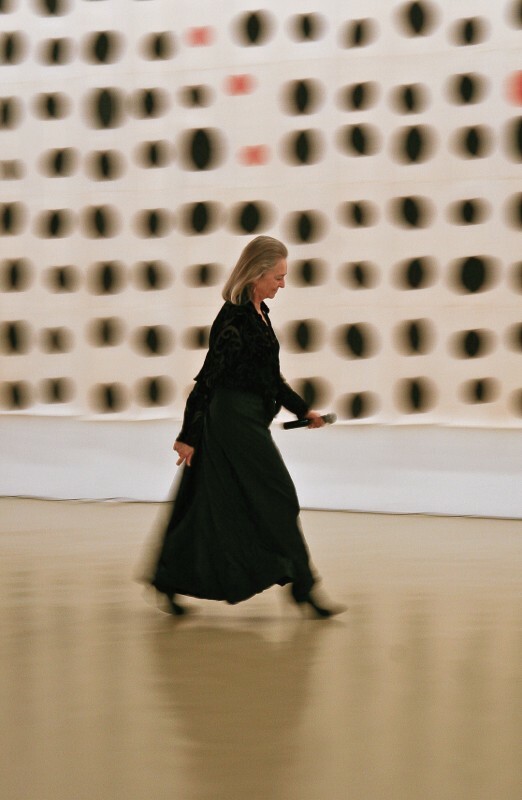 The dvd will be released in a special package, inside a booklet that features three texts - in both Italian and English – penned, respectively, by Joan La Barbara herself, Rolf Julius and Carlo Fossati, who promoted and curated the whole project. We want to thank everyone who, through their support, made the realization of this video possible, with a special thanks to: Nina and Maija Julius, George Thomas, CAP (Contemporary Art Projects), Fulvio Gianaria / Fondazione CRT per l'Arte Moderna, Giorgio Fasol / AGI Verona, Regione Piemonte, Renato Alpegiani, Francesca Referza and Paolo di Paolantonio.